Three glorious bedrooms means more of London, just for you. These handsome rooms gleam with modern luxury, where clean lines and bold design add shape to buttery soft fabrics. Glossy, gleaming and utterly stunning. A television inside your mirror feels like a whole new level of indulgence. Best viewed from the bath. Once home to Henry VIII’s hunting expeditions, royal duels and The Great Exhibition, Hyde Park is centuries of history awaiting your gaze. 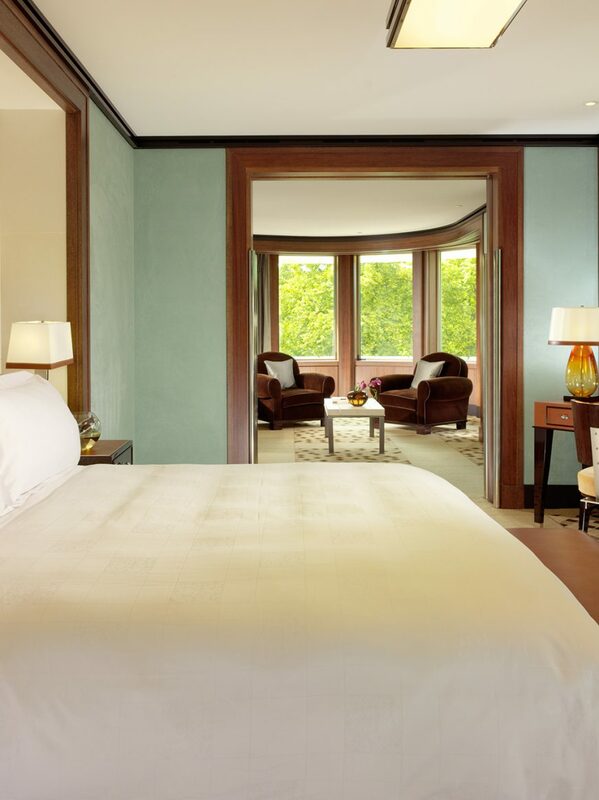 Your suite offers a beautiful view from every window.